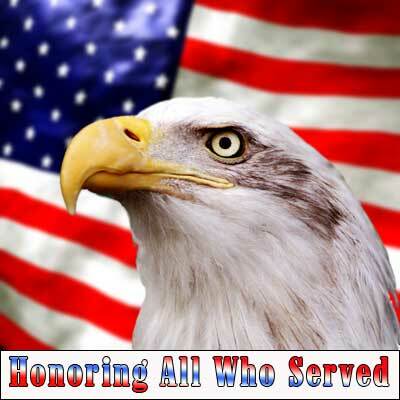 Salute Our Veterans – Fri to Tues, Nov 7-11 – This is one hopping, active community! Several days designed to promote the Solivita community active lifestyle while celebrating Veterans and their families. Open to the public. The weekend will be filled with fun, fitness, and music for all ages. All festivities this weekend will be open to the public so bring your family and friends to support this wonderful event for a great cause. All proceeds will be donated to Habitat For Humanity to build homes for Veterans and to the USO Central Florida. “Remembering our Florida Fallen” Traveling Wall – Nov 10–14, Mon-Fri. – Valencia College honors the Floridians who made the ultimate sacrifice in the Iraq and Afghanistan wars by hosting this Traveling Wall. Opening ceremony of the wall starts at 2pm on Mon. Nov 10th. The wall features military and personal photos of our country’s Fallen who called Florida their home, brief narratives, and written messages left by loved ones. Free and Open to the public at Valencia College, West Campus in the Building 11 Courtyard, 8am to 8pm after the Opening Ceremony. Sponsored by Valencia College’s Student Veterans Association, Florida College of Integrative Medicine, and Fairways for Warriors. Info: remembering-our-fallen.eventbrite.com dgibson11@valenciacollege.edu Event flyer available. The City of Ocoee Veterans Day Ceremony –Tues. Nov 11 – 11am at Bill Breeze Park, 125 North Lakeshore Drive, Ocoee, 34761. Patriotic songs, musical tributes, flag presentations and Ocoee Police Department Honor Guard. Keynote speaker: former Army Specialist Melissa Infante who served 2 tours of duty in Iraq and 1 tour in Afghanistan. For more information on Ocoee’s Veterans Day Ceremony – 407-905-3100, x9-1530. Shared by Joy Wright and Mayor Scott Vandergrift of Ocoee. Veteran’s Day Ceremony – Tues. Nov 11 – American Legion Post 286 Family (Legion, Auxiliary, Sons) will honor Veterans at 11am at 529 E. Fairlane, Orlando, 32809. (South Orlando, just north of Sand Lake Road on Orange Ave.) Join us in the heartfelt gift of appreciation to the men and women who have served in the United States Armed Forces. Inviting all veterans and the public to join in to remember those who have fought for our freedom and give thanks to all who have bravely protected us. Following the service, there will be a BBQ lunch for $7.00 and entertainment from 2- 4 pm. Info: 407-859-1460. Transitioning/Military Job Fair – Hiring our Heroes – Tues. Nov 11 – Job fair for veteran job seekers, active duty military members, guard and reserve members, and military spouses at the University of Phoenix – Orlando. 8325 South Park Circle, Suite 100 Orlando, FL 32819 (South Orlando) Employment Workshop at 8:30 am is aimed at helping veterans and transitioning service members leverage military experience to achieve civilian career goals. 10am – 1pm is the Hiring Fair; This event will be a one-of-a-kind FREE hiring fair for both employers and job seekers. This University of Phoenix- sponsored hiring event is being conducted by the U.S. Chamber of Commerce Foundation, the Department of Labor Veterans’ Employment and Training Service (DOL VETS), the Florida Committee of the Employer Support of the Guard and Reserve (ESGR), the U.S. Department of Veterans Affairs, Goodwill Industries International, The American Legion, NBC News, and other local partners. Info: hiringourheroes@uschamber.com uschamberfoundation.org/hiringourheroes/faqs Shared by Susan Fernandez of Sen. Marco Rubio’s office. Sanford and Seminole County Veterans Recognition – Tues. Nov 11 – The City of Sanford and the Seminole County Area Veterans Advisory Council (SCAVAC) honors it’s Veterans in a Veterans Day Service at 11 AM in Veterans Memorial Park located at 300 N. Park Avenue, Sanford, 32771. Please join us as we salute our soldiers – current, past and future – who selflessly protect the freedoms that we hold dear! Info: 407-688-5120 or email Jennifer.Brooks@sanfordfl.gov Event flyer available. Shared by Magi Hosford. Clermont Veteran’s Day Program – Tues. Nov 11 – 11am at the Waterfront Pavilion on Lake Minneola, 330 Third St. Clermont, 34711. Sponsored by Tomoka Chapter, D.A.R. ; South Lake Marine Corp Detachment, and VFW Post #5277. Details: Susan DeHart – 352-242-2394 or Carolyn Darling 352-394-4790. “The Concert for Valor” –Tues. Nov 11 – Salute to veterans performance live from Wash DC Mall on HBO – check your cable provider for the channel number. 7pm. Wide variety of musical performers and guest speakers, including Tom Hanks. Presented by HBO and Starbucks. “Navy Seals – Their Untold Story”– Tues. Nov 11 – New programs on your local PBS channel about America’s military men and women start. 9pm – 11pm. Actor Gary Sinise, who has dedicated himself to veterans’ causes and supporting the troops in active service, narrates. Orlando Vet Center Open House 2014 – Fri. Nov 14 – In honor of Veterans Day, the Vet Center will be celebrating all veterans with an Open House. Vets helping other combat vets and their families with the challenges of reintegration, family counseling, sexual trauma, post-traumatic stress management, etc. 12noon – 4pm. 5575 S. Semoran Blvd, Suite 30, Orlando, 32822. 407-857-2800. Military Appreciation Day UCF Football Game –Fri. Nov 14 – UCF is offering a free game ticket to active duty/reservists and retirees for the UCF vs. Tulsa football game at 7pm at Brighthouse Stadium. Additional tickets can be purchased for $15.Eligible members can reserve the free ticket/purchase add’l tickets by registering at GOVX.com or call 407-UCF-1000 for information. Shared by Tiffany Rivera. Poppy distribution – Fri. and Sat. Nov 14, 15 – American Legion Auxiliary of Post 286 (Pine Castle in South Orlando) will be extending their tribute to veterans. They will be distributing Poppies at Clemons Produce and the Navy Exchange. The Poppy has become a nationally known and recognized symbol of sacrifice to honor men and women served and died for their country in all wars. Pick up and wear a bright red POPPY (made by veterans) to honor the past sacrifices of our veterans. Donations welcomed. Clemons Produce at Dover Shores Shopping Center, 3325 Curry Ford Rd, Orlando, 32806. Navy Exchange (NEX) is located at 7151 Earhart Dr., Orlando, 32827. (west of Orlando Int’l Airport, about 1 mile south of the Beachline Expy/528 on Tradeport Dr.) Info: 407-859-1460. Shared by Sandi Stepp, 1st VP. Check out: com and iamveteran.com. Both sites are for veterans and hiredbyfriday.com is a site for Veterans to upload their resumes and employers can look for skilled veterans there. blogspot.com – Veterans News Service covering news that matters to veterans and their families. Local, state and national news and events – especially with videos involving Central Florida military and veterans. Dedicated to defeating Combat PTS. If you have events you wish to add, please put them in the comment section below to add them, Thanks!